Henan Yutong Electric Motor Shares Company has researched and developed YBZ series motor by itself according to demands of market. YBZ series high-efficiency dust-proof three-phase asynchronous vibration motor (hereinafter referred to as the vibration motor) is a squirrel-cage three-phase asynchronous motor. It has the characteristics of full seal, adjustable excitation force, explosion-proof and anti-explosion, low noise, reliable operation, etc. It can work under any dust condition with explosion-proof requirements. 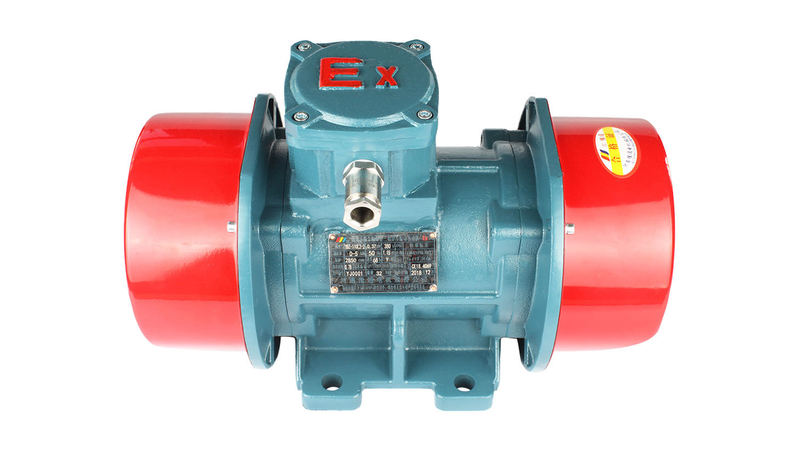 The explosion-proof performance of this series of vibration motors conforms to the provisions of GB3836.1-2010(Explosive Atmosphere -Part 1: Equipment General Requirements) and GB3836.2-2010 (Explosive Atmosphere- part 2: Equipment Protected by Flameproof Enclosure).The marks of explosion-proof are Exd?AT4Gb, Exd?BT4Gb, ExtD A21 IP65 T130 ?, which is suitable for factory environment class ?A Gb,?B Gb and dust environment zone 21, 22 area. Motor enclosure protection grade is IP65; The cooling mode is IC410; Insulation grade: F ;working mode: S1 (continuous). ;Voltage: 380V, 660V, 380V/660V.